How is your business coping with the challenge of introducing dramatic improvements today? Are you familiar with the 7 Steps of Every Change? Do you know how to use these steps to deliver the change you want in your business? You can learn here how to use them quickly and effectively for results starting today. The “7 Steps of Every Change” can be described in many ways, but countless companies rely on navigating through their changes successfully using the following interpretation. Generate Quick Wins to associate the change with success. The first part of using the “7 Steps of Every Change” is to unfreeze the complacency within your business for continuing as it is now. If there is no urgent, emotional, driving need within the business for this change to occur, business inertia will stop the change dead in its tracks. The logical reasons for the change may be clear and demonstrable, but the burning desire to change needs to be lit around the business. You must target key Stakeholders but include everyone related to the change. Once key Stakeholders are emotionally engaged in changing, they need help delivering. Change Agentsare people aligned to a Vision of the business after the change, they are the people ready to get involved and make the change happen. You need make sure the team of Change Agents have a common Vision and measureable Objectives. Their alignment is crucial to the success of your change. Change Agents make things happen and people like to hear about those successes. People actively want to participate in successful, interesting and honest change. This is why communication, generating quick wins and including & growing the number of people involved in the change is a virtuous circle. This circle is formed around the concepts of challenging, learning & applying and sustaining. Steps 3, 4 & 5 are the enablers to ensure Step 6 is possible. You may have been taught about the Pareto Rule than 80% of the outcome is often controlled by 20% of the actions. It is tempting to only implement those 20% of the actions and move on. When you deliver the full plan, the ability to sustain become apparent. The actions with no merit should not be included in any plan, but actions which deliver the full change correctly and honestly will pay dividends in the culture of your business. Before the standards related to a change are refrozen, you must conclude the plan. Refreezing the standards and culture of your business after the change requires another emotional content. A celebration, however modest, is needed to allow people to reflect on the actions completed, the changes delivered and the new ways. As changes become a necessary cycle of all business, when refreezing you must put in place systems to allow challenge within the business. The next unfreeze will be needed at some time in the future. 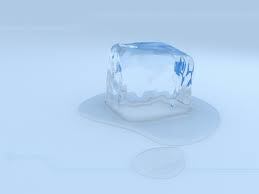 Start today with unfreezing any of your complacency of what can and cannot change. You’re then one step closer to continuous improvement becoming “normal” culture. Kaizen is improving a little everyday and keeping that improvement you made.